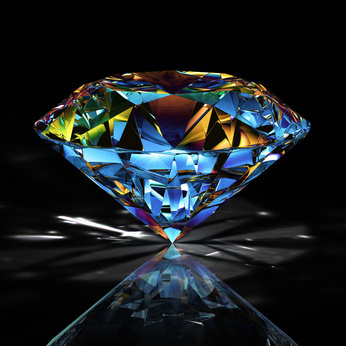 Welcome to Novel Gems ~ Killing Secrets 08-28-12! He should have listened to his vow to stay on his own side of the fence, not run straight into the dangerous territory he instinctively knew surrounded Rachel James. Thunk! Patrick punched the nail home with a satisfying bang, having ditched the nail gun more than an hour ago in favor of a good, old-fashioned hammer. He needed to hit something to beat yesterday’s confrontation out of his head. I have to tell you, pal, Felicia’s quite a con artist. The woman certainly hadn’t felt like a con artist. Patrick still remembered the way her full breasts pressed against his chest, the tremble of her slender fingertips against his lower back, the heady scent of lilacs on her sun-warmed body weaving through his senses. He groaned at the memory of her soft skin beneath his calloused fingertips. Was she that silky smooth all over? She’d felt like pure sin in his arms. No. She’d felt like trouble. Why hadn’t he heeded his own advice? When he’d agreed to keep an eye on Rachel and her daughter, the plan was simple. Watch. From a distance. It hadn’t seemed much of a challenge even with Amanda trailing in and out of his home and office as Suze’s shadow. The mini blond cutie from next door was so quiet he hardly noticed she was there unless she inadvertently got close enough for him to get sucked into her wary brown-eyed gaze. Just as he’d gotten sucked in by the little girl’s mother. From his office window Rachel James was a delectable temptation Patrick could resist, had resisted for two entire days. He’d been unaware of the haunted look in her soft brown eyes, the smudges beneath her lashes that spoke of too many anxious days and sleepless nights. He hadn’t known her willowy frame would feel so fragile and so damned right, beneath his big hands. One minute, he was maintaining his distance from a woman in trouble. The next he’d stepped, no, he’d run between Rachel and her ex-husband, crossing a line he’d vowed never to bridge again. He could hardly stand by and allow Rachel to be abused. Yet it wasn’t until he’d gotten up close and personal he realized her pull on his protective instincts might actually be as strong as his physical desire for the woman. He could fight the latter, maybe the former, but both at the same time? Dammit, he didn’t rescue needy women anymore!